Most event managers and agencies fear live streaming for two reasons: first, it’s expensive to produce and second, it will decimate the attendance of their conference/event. Granted, it’s not cheap to execute high-quality live stream. But nowadays with the rise of new video technologies and quality equipment being more available, it’s much more manageable. 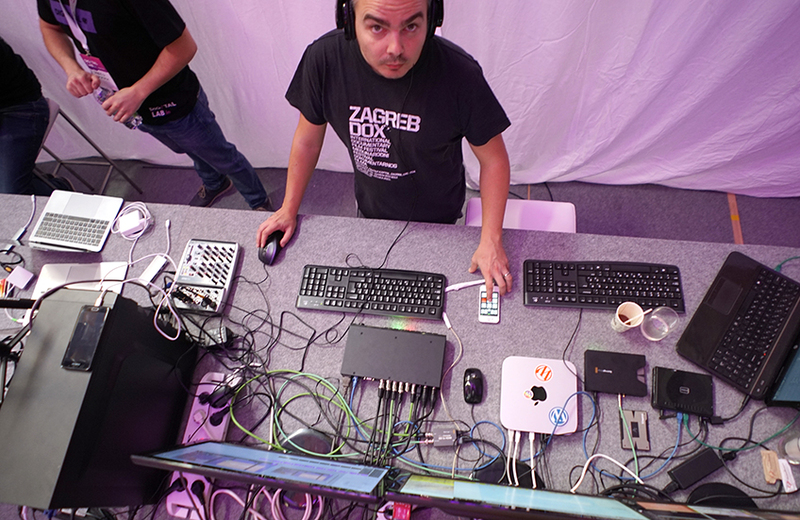 There’s no reason not to include live stream in the overall event production budget. The second fear, the one about live stream ‘stealing’ people from actually sitting at the conference, is irrational! If your brand is relevant, people will have the angst of missing out something important. Jim Tobben, president of Ignite Social Media, revealed back in 2016.: “If people are watching a live stream, it actually makes them want to attend more because people love the value of a physical event.” Also, don’t exclude people who are interested in the conference topic, but reside far away from your event location. Allow them to get your message. Then grab their attention and make them your biggest fans and advocates. Live stream can cultivate conversations between customers. Still, there’s nothing quite like having the customer next to you, so you can show and pitch them your product or service. Livestreaming allows you to bring the customer to your home territory. Enterprise conferences are growing faster than almost any other industry. In a recent study from Livestream.com, sales execs claim that events are the highest performing channel in terms of new lead generation and pipeline acceleration. Companies and brands are starting to realize this more and more, so it’s essential for them to tailor a perfect fit event. Live streaming is just one piece of the puzzle. And like everything else it has to be executed perfectly and provide additional value for the viewer. Just make sure not to impair the experience of the in-house audience! The video production crew has to be inconspicuous while creating an online experience for the viewers. So finding an experienced video company and pairing them with seasoned event production team is vital for a smooth operation. Agencies and brands tend to make one large mistake with live streaming. They wait to the bitter end to inform people live stream will be available. The reason? Fear of less attendance and consequently less revenue from registration fees. What a mistake-a to make-a! On social media, we frequently witness questions from the public is the event going to be live streamed. Don’t make them ask! Provide. The crucial thing in order for your live stream to be successful i.e. generate more leads and increase of view time is to create anticipation with a pre-event page! Build a micro web page for each event and make it your main hub for everything live stream related. Advertise that page on social media, put adverts from sponsors on that page, create teaser videos for your live stream, organize prize games, let everyone know that this micro page is the location of your super-duper live stream. Additionally, you can require sign-in option upon page entry. Now you can pull together analytics and data about the viewers that was never available before. What are key points to remember while contemplating to live stream your event? 1. Think about the usage and the aim of your video content early on in the event planning process. 2. Plan for both live and recorded video. Use the recorded content as a marketing asset after the event has finished. Use it when you sell tickets to next year’s event. 4. Plan as early as possible. If you leave everything for the last minute you’re in for a logistics nightmare. • Behind-the-scenes video for loyal fans and audiences. • Q&A’s and direct conversations with customers or social audiences. • Special product announcements or launches. • Influencer partnerships where a brand features a guest speaker. In the end, it’s not so much about WHAT is showing, but rather HOW it’ showed. Facebook live stats show that “90% of online viewers think that video quality is the most important aspect of Facebook Live videos.” Give them just that – first-rate content which they will adore.